Your recipe book is a bunch of sheets of paper with grease stains? This is definitely not encouraging to cook more at home. 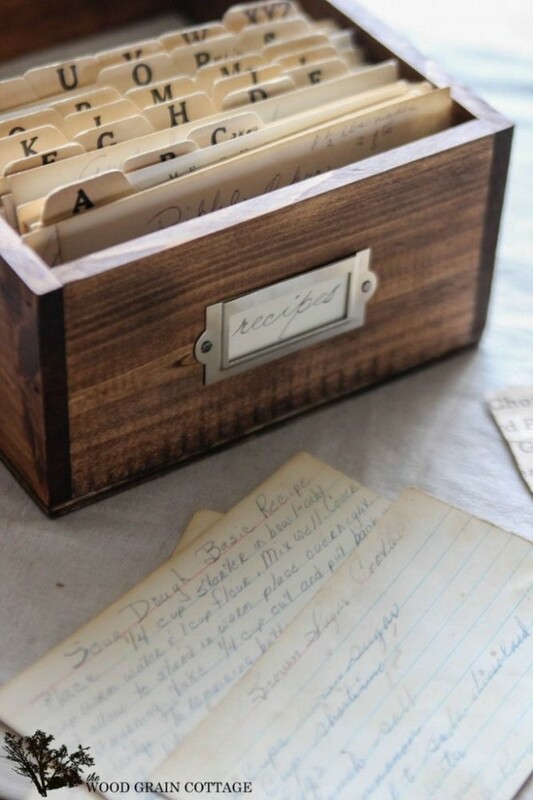 An orderly system of recipe storage can be a nice motivation and inspiration, and today we’d like to offer you a few nice ideas. 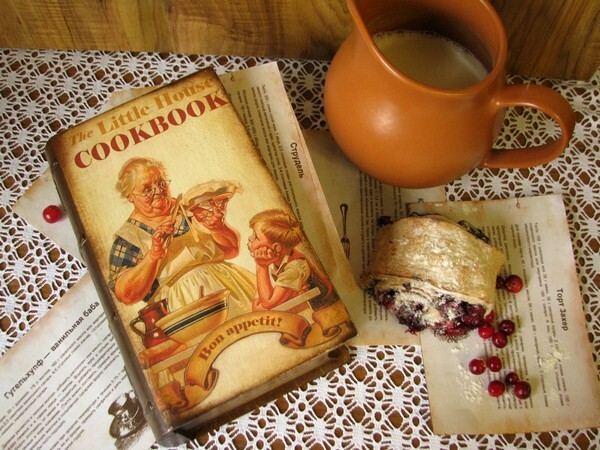 So, if you opt for old-fashioned recording of recipes in a cookery book, here is a good idea to make the process even more enjoyable. Try to decorate your recipes with newspaper and magazine clippings, photos, interesting pictures, highlight the most important points – that is, make the process truly creative. Buy a beautiful album with thick sheets of paper and a ring binder, pick decorative elements – stickers, mini-herbarium, thematic images and sharp thin scissors and go ahead to culinary self-expression. You’re a well organized person, who needs everything to be structured and arranged in alphabetical order, aren’t you? Then folders, marking labels and a box of the right size are what you need. 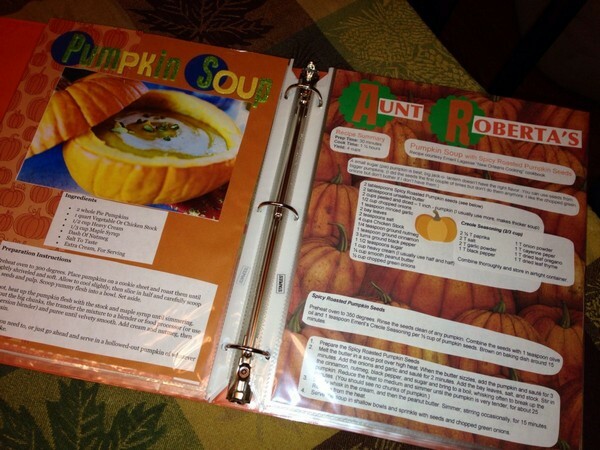 Stick the labels to the folders, write the first letters of meals and start to organize your precious recipes alphabetically. If ideas 1 and 2 are not for you, you’re likely to be avoiding platitudes and never repeating. Indeed, why cook one and the same dishes during your whole life when the world has thousands of millions recipes in store, and life is so short? 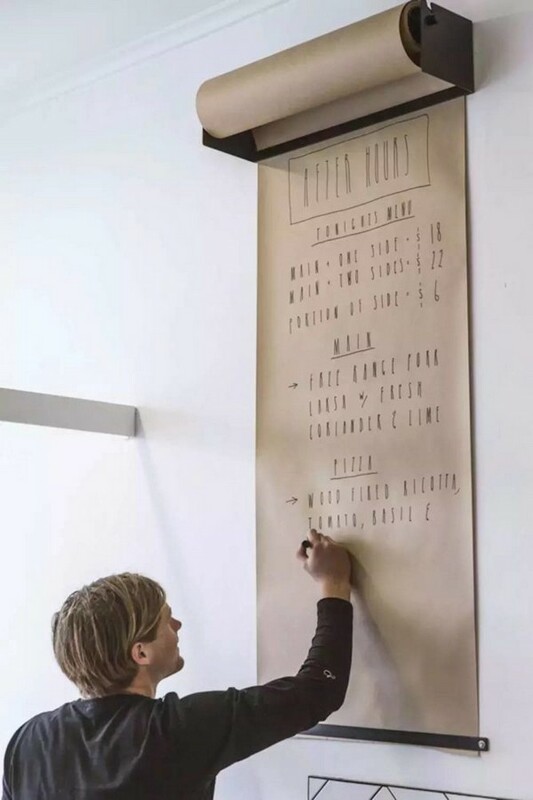 There’s an option for you – a wall mounted kraft paper roll dispenser. It can be easily hand-made out of a rod, a roll of kraft paper, a highlighter and a rubber band with a couple of screws. 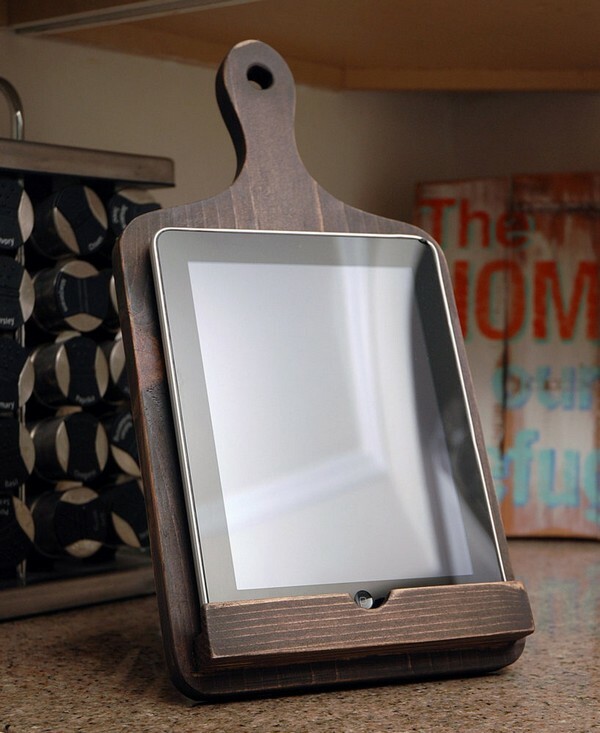 Assemble this puzzle and you’ll get an inspiring device for writing new recipes. Have you ever thought that you frequently cook the same dishes and respectively every time have to mix the same ingredients in the same ratios? So why not spend time on this just once a month and produce a few “workpieces” – dry mixes for pancakes, pies, muffins and cookies? 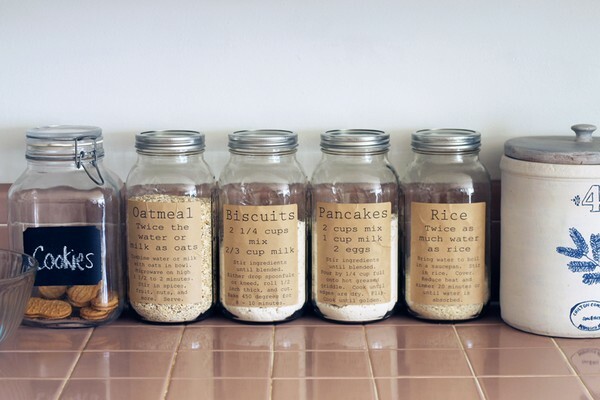 Just stick the recipes to the jars to know how to continue the cooking process immediately. You’ll see how easier life will become! You’re a devoted fan of digital information or just feel sorry about billions of trees cut for the sake of books production? Then you must have already downloaded plenty of culinary software to your gadget. It’s time to get a convenient holder!